Though several good domain names will already be taken on .com — it does not mean you should take the .net or .org version of the name. From a marketing perspective, .com evokes trust from internet users. That’s why you are better off taking your second or third choice in a .com URL, than settling for your first choice with .net. Your bottom line will thank you in the end. Your plumber domain name is part of your brand. It is important to fit some version of your company name within your URL. If you pick a name with zero reference to your brand, you are hurting your business in multiple ways. First of all, other marketing channels will not correlate with your website, causing confusion for potential customers. Secondly, it is less likely website visitors will remember your brand, if it is not part of the domain. Stop right there. This doesn’t mean to keyword stuff your URL to be cheapplumbersinfloridaplumbingservices.com. It simply means to develop a list of keywords that you can strategically integrate with your brand name and, in some cases, your location. Use Keyword Planner to take a look at the search volume for both industry and local keywords. One important component to branding, in general, is originality. You would hate for your plumbing company to be confused with something else. Worse, if your domain name resembles a very popular brand, it will likely get buried on Google search results. Your name should spark images of your company, and that’s why including industry keywords is important. Examples of relatively short industry keywords include: plumber, plumbers & plumbing. One often overlooked aspect of domain registration, is simplicity. You want your name to be recalled from memory and easy to type into the address bar. If people can’t spell your website name, you will be losing out on a critical percentage of internet users. One way to keep it simple, is to keep it short. Use abbreviations, suffixes, etc. to keep the URL condensed. Follow these guidelines and you will be on your way to making the perfect plumber domain name. Don’t overthink, just check all of the boxes and keep it simple. 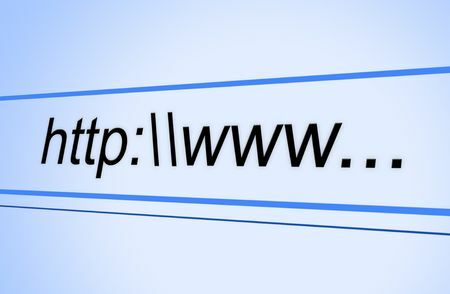 On certain hosting websites, they will provide alternate recommendations if a requested URL is already taken. At Plumbing Webmasters, our expert web designers and SEO specialists can also give you a list of domain ideas to choose from. Call (877) 388-9884 to speak directly to an online marketing expert.